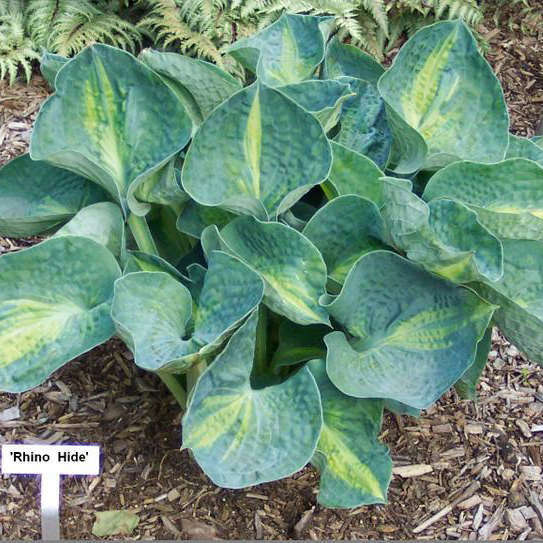 Aptly named as 'Rhino Hide' has the thickest leaves measured on any Hosta. This gives the plant excellent slug resistance. Lovely deeply cupped blue leaves with a narrow yellow centre. Quite a unique Hosta.